- Instance position : NPC Mariage in Geffen Tower. Party leader talk with her to create instance. - Instance cooldown and duration : 1 day cooldown and 60 minutes limit. - Reward : Accessory, crafted stones and some EXP. 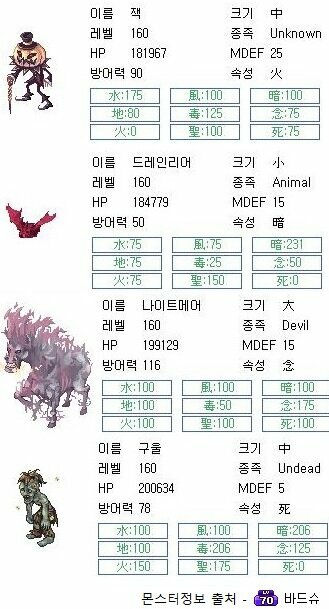 Skills : Break helm, Meteor Storm, Hell Judgement, Dark Blessing, Agi Up. 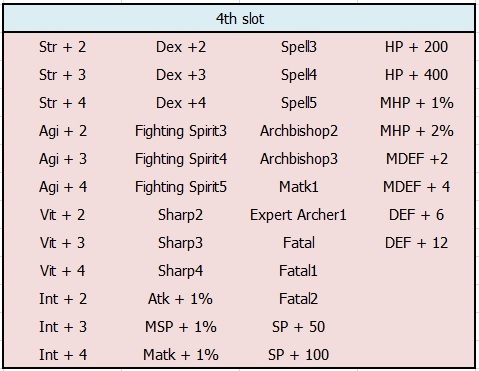 Def + 30, Mdef + 10. Adds a high chance of inflicting the silence status to enemy when receiving physical and magical attack. When compounded on Royal Guard Ring, Atk + 5% and Matk + 5%. When dealing physical or magical attack. Has a low chance to transform into Dead King for 7 seconds. While under Dead King form, ignore target Def and Mdef by 100%. 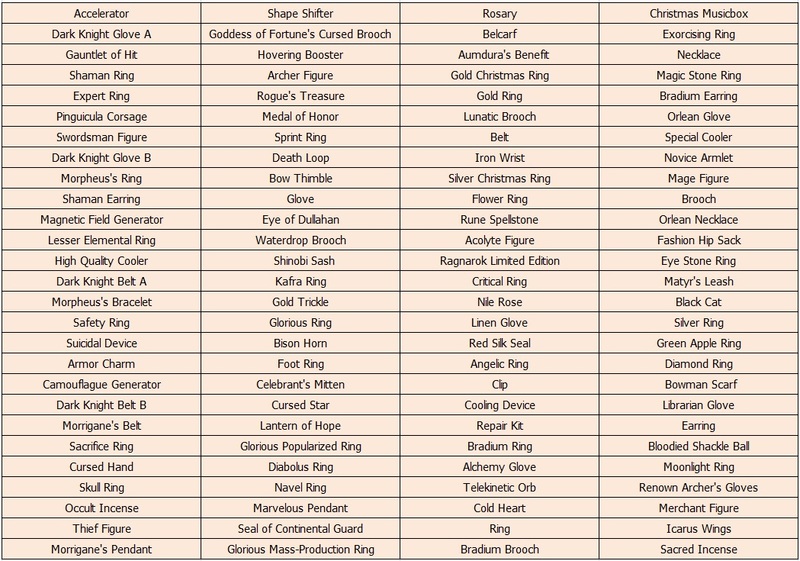 Crafted Stone : Can be obtained from instance, used for enchant ring and accessories. Royal Guard Ring enchant details. 1. use 10 Crafted Stone and 100k Zeny per 1 enchant. 2. Can be enchanted 2 times, on 4th and 3rd slot. 3. Reset enchantment has 20% chance of failure that will destroy the ring. 4. use 10 Crafted Stone and 100k Zeny to reset. Can only reset the ring that has been enchanted on both slot. 5. Enchantment can be chosen the type of enchant between Melee, Magic or Ranged. But the result still random as following table. 6. Enchant success rate is 100%. In addition. Some existing accessories can be enchanted. 2. Can only be enchanted on 4th slot. 3. Reset enchantment has 80% chance of failure that will destroy accessories. 4. use 10 Crafted Stone and 100k Zeny to reset. 5. The result is random as following table. 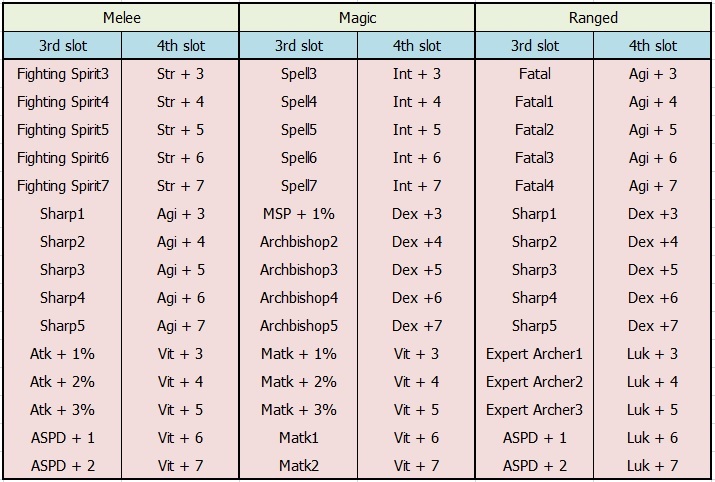 List of enchantments for above accessories. can you inform mobs stats at level 99-110 area? I only know their HP. But according to lv 160 mobs. 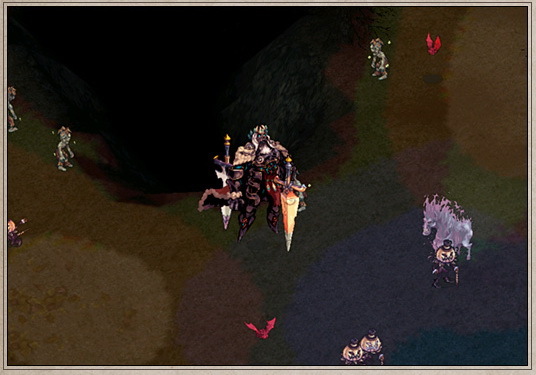 They have the same Def/Mdef with their normal counterparts in normal geffen dungeon lv.2. So I guess lv.100 counterparts will share the same Def/Mdef too. And unfortunately. 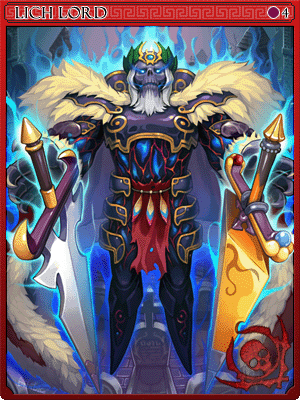 There is no Dead King for lv 99-110 zone. so what is the purpose on doing the easy mode? Likes OGH and HTF beginner mode. Easier way to collect material. In this case, crafted stone.